International humanitarian law, also known as the law of armed conflict or the law of war, is the body of rules that, in wartime, protects persons who are not or are no longer participating in the hostilities. It limits the methods and means of warfare. Its central purpose is to limit and prevent human suffering in times of armed conflict. The rules are to be observed not only by governments and their armed forces, but also by armed opposition groups and any other parties to a conflict. The four Geneva Conventions of 1949 and their two Additional Protocols of 1977 are the principal instruments of humanitarian law. This text has been prepared for dissemination purposes and cannot in any circumstances serve as a substitute for the complete provisions of the international agreements - Extract from "Basic rules of the Geneva Conventions and their Additional Protocols"
The seven fundamental rules which are the basis of the Geneva Conventions and the Additional Protocols. 1 - Persons hors de combat and those who do not take a direct part in hostilities are entitled to respect for their lives and their moral and physical integrity. They shall in all circumstances be protected and treated humanely without any adverse distinction. 2 - It is forbidden to kill or injure an enemy who surrenders or who is hors de combat. 3 - The wounded and sick shall be collected and cared for by the party to the conflict which has them in its power. Protection also covers medical personnel, establishments, transports and equipment. The emblem of the red cross or the red crescent is the sign of such protection and must be respected. 4 - Captured combatants and civilians under the authority of an adverse party are entitled to respect for their lives, dignity, personal rights and convictions. They shall be protected against all acts of violence and reprisals. They shall have the right to correspond with their families and to receive relief. 5 - Everyone shall be entitled to benefit from fundamental judicial guarantees. No one shall be held responsible for an act he has not committed. No one shall be subjected to physical or mental torture, corporal punishment or cruel or degrading treatment. 6 - Parties to a conflict and members of their armed forces do not have an unlimited choice of methods and means of warfare. It is prohibited to employ weapons or methods of warfare of a nature to cause unnecessary losses or excessive suffering. 7 - Parties to a conflict shall at all times distinguish between the civilian population and combatants in order to spare civilian population and property. Neither the civilian population as such nor civilian persons shall be the object of attack. Attacks shall be directed solely against military objectives. 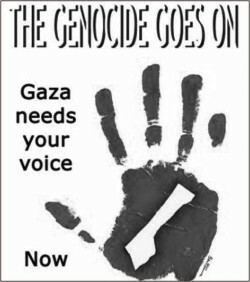 The top United Nations human rights official on 9 January 2009 proposed a mission to assess violations and possible war crimes committed by both Israel and Hamas in the Gaza conflict, and called for immediate implementation of a ceasefire. “The situation is intolerable. The ceasefire called for by the UN Security Council must be implemented immediately. The violence must stop,” High Commissioner for Human Rights Navi Pillay told a special session of the Human Rights Council in Geneva. “The vicious cycle of provocation and retribution must be brought to an end,” she said, pointing out that the ongoing conflict had already caused the loss of hundreds of lives since Israel started its current military operation with the stated aim of ending Hamas rocket attacks from Gaza. Ms. Pillay stressed unequivocally that international human rights law must apply in all circumstances and at all times, and strongly urged the parties to the conflict “to fulfill their obligations under international humanitarian law to collect, care for and evacuate the wounded and to protect and respect health workers, hospitals, and medical units and ambulances. “Accountability must be ensured for violations of international law,” she said, suggesting that the Council should consider authorizing a mission to assess violations committed by both sides in the conflict in order to establish the relevant facts and ensure accountability. “I remind this Council that violations of international humanitarian law may constitute war crime for which individual criminal responsibility may be invoked,” she added.